Videos of residents from Maguindanao cooking without a stove shocked many people not because it might be dangerous because it might be a sign that the place is destined to be prosperous. Recent estimates of the amount of natural gas in that area would amount to at least $1 trillion. Will that place be the next Dubai? A week after the Alegria Oil Field opened in Cebu, another good news spread around the Philippines. 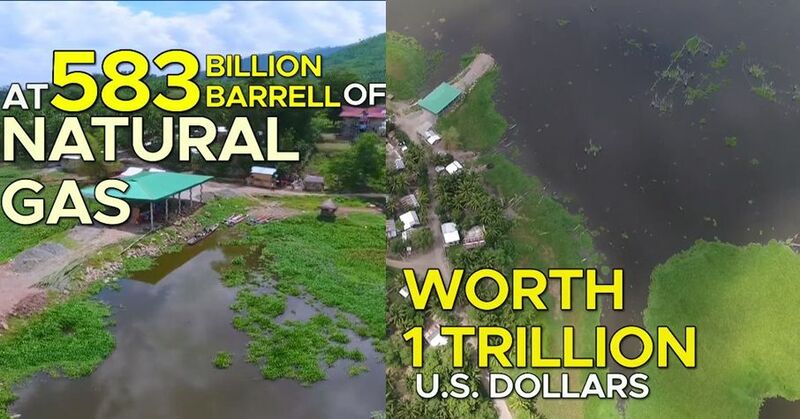 Natural gas seems to be abundant in Liguasan Marsh and the value that can be extracted from it could exceed a trillion dollars. Reports of flammable water being used by locals there attracted media attention in the past years. It turned out that since the 1980s foreign surveyors ventured at Liguasan Marsh and observed large methane emissions on the body of water, a sign of large natural gas deposit underneath. There are recent talks about developing the place into a petrochemical hub in the coming years.